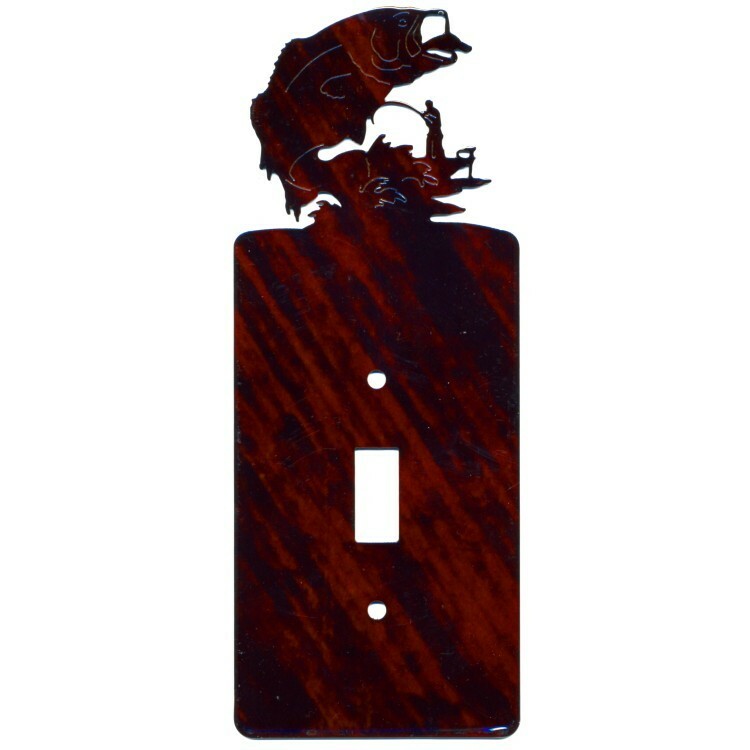 Bass Light Switch Covers. 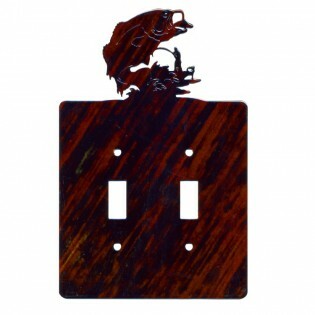 Our bass light switch covers are available in 3 sizes. Each plate is precision laser cut metal with a natural fusion finish, which is a durable high gloss finish in natural color tones. 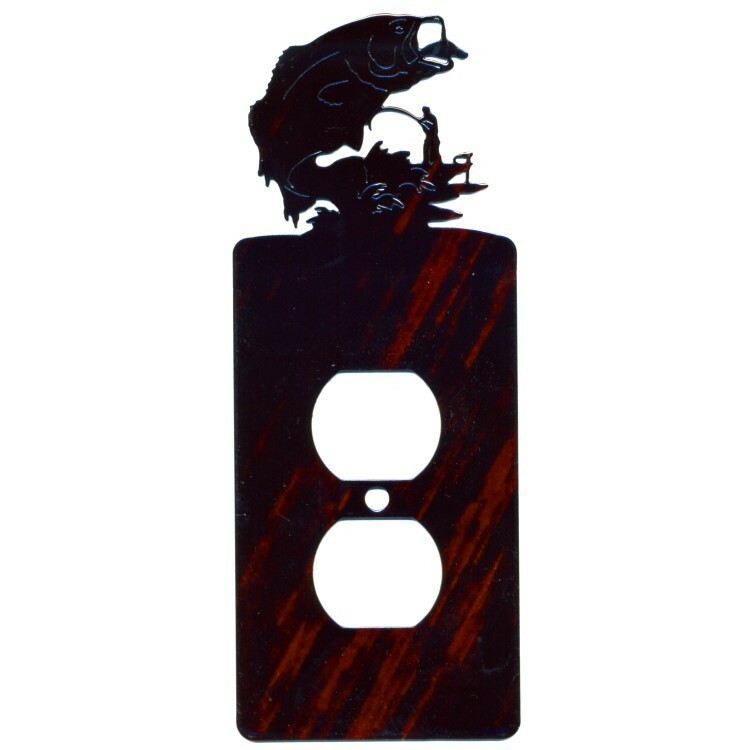 Our Bass Light Switch Covers are available in 3 sizes. Each plate is precision laser cut metal with a natural fusion finish, which is a durable high gloss finish in natural color tones. These rustic bass switch plates will add a fishing theme to any room in your home and adapt easily to any space because they are reversible. Color coordinated screws are included with each plate.